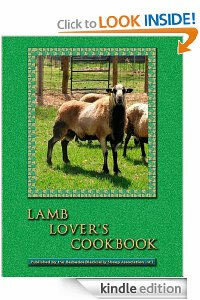 Lamb Lover's Cookbook contains over 100 mouth-watering ethnic dishes, casseroles, soups and stews, BBQs, crock-pot and pressure cooker recipes, Weight-Watcher recipes, and recipes for every cut of lamb you can imagine. There also are recipes for making sausage (even one that doesn't require any special equipment or casings), marinades, and rubs. 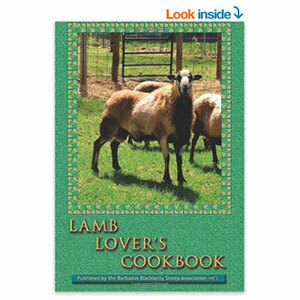 With recipes compiled from hundreds of home kitchens, Internet recipe swaps, and five-star restaurants, the Lamb Lover's Cookbook will be the only cookbook you need. When you want to try a new recipe with those chops you purchased at the supermarket or with that whole lamb stashed in your freezer, a quick flip through this cookbook will give you lots of ideas. You will love this cookbook's back-of-book index. It is professionally written to ensure that you can quickly find a recipe by name, category, meat cut, or major ingredient. 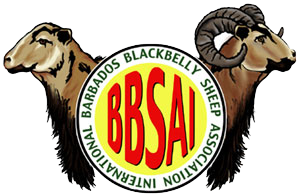 The cookbook is filled with photos of BBSAI members' beautiful, exotic Barbados Blackbelly and American Blackbelly sheep. You will want one for yourself and several more for gifts!